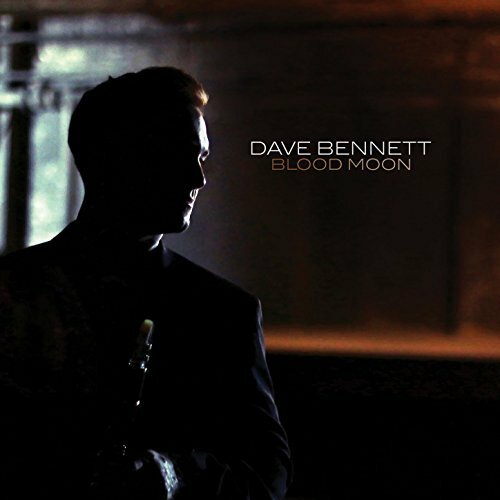 Multi-instrument phenomenon, Dave Bennett is a clarinet virtuoso who also plays electric guitar, piano, drums and sings. Entirely self-taught, he began playing along with Benny Goodman records at age 10, and by 12 he was invited by legendary trumpeter Doc Cheatham to the bandstand of New York’s famous Sweet Basil jazz club. Leading his tribute to Benny Goodman, Bennett has been a featured soloist at Carnegie Hall with The New York Pops and has played the program with 50 other US and Canadian orchestras. An annual fixture at a dozen American music festivals, his “Rockin’ the ’50s” show always brings down the house, while his “Swing to Rock” Symphony Pops program premiered in 2016 with The Kingston Symphony Orchestra. Blood Moon is his follow up to the 2013 Mack Avenue release, Don’t Be That Way. This is Bennett’s sophomore CD on the Mack Avenue label. Bennett has teamed up with Toronto-based composer, arranger and bassist Shelly Berger to co-write five original songs for the album. To fill out the program, Bennett used a half-dozen road-tested covers from his regular repertoire. The band is comprised of Bennett’s longtime drummer, Pete Siers, pianist Dave Restivo, guitarist Reg Schwager, bassist Jim Vivian and percussionist Davide DiRenzo. The title track opens the album with Bennett’s warm clarinet sound playing the lyrical melody over a beautiful set of changes. The song is a perfect mix of jazz, pop and modern jazz, but still it contains the history of jazz in the solos and solid band listening skills. Restivo’s solo is to the point and full of passion. Bennett solos next, with his virtuosic playing and perfect control of time, he leads us down a musical journey that is enjoyable and full of life. Siers brush work under Bennett’s solo is also of note, subtle, but he drives the music forward. “13 Fingers” will make all the Benny Goodman fans smile. This rhythm changes song is an opportunity for the band to relax and burn, and that they do! Starting with Siers lighting up the ivories with twisting lines and rhythmic chords. Bennett puts gas on the fire with his jaw dropping command of the jazz language through the clarinet. Schwager’s warm guitar tone conveys his musical statement that is driving and outlines the chords perfectly. The written interlude is very nice and leads us back to melody and ending statement. Overall, a fun selection that brings all the elements that make jazz great together for our listening pleasure. Blood Moon has many styles and rhythmic textures, the music is varied and the combination of original compositions and tried and true arrangements yield a great overall musical landscape. Bennett is an amazing player that brings a strong sense of melody to his vast command of his horn. This is a highly recommended set of music that will appeal to any jazz fan.